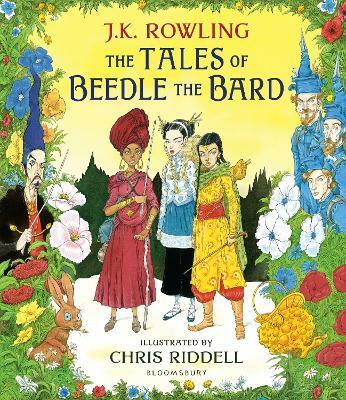 The dazzlingly brilliant Chris Riddell brings his magical illustration talents to J.K. Rowling's gloriously inventive The Tales of Beedle the Bard in a fully illustrated colour edition of this essential classic for Harry Potter fans. Translated from the runes by Hermione Granger,... read full description below. J.K. Rowling is the author of the record-breaking, multi-award-winning Harry Potter novels. Loved by fans around the world, the series has sold over 500 million copies, been translated into over 80 languages, and made into eight blockbuster films. She has written three companion volumes in aid of charity: Quidditch Through the Ages and Fantastic Beasts and Where to Find Them (in aid of Comic Relief and Lumos) and The Tales of Beedle the Bard (in aid of Lumos), as well as a screenplay based on Fantastic Beasts and Where to Find Them. J.K. Rowling has also collaborated on a stage play, Harry Potter and the Cursed Child Parts One and Two, which opened in London's West End in the summer of 2016. In 2012 J.K. Rowling's digital company Pottermore was launched, where fans can enjoy news, features and articles, as well as original content from J.K. Rowling. She has received many awards and honours, including an OBE for services to children's literature, France's Legion d'honneur and the Hans Christian Andersen Award. 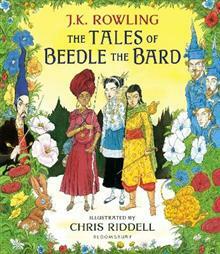 Chris Riddell is an award-winning illustrator and acclaimed political cartoonist. He is currently the only artist to have won the Kate Greenaway Medal three times, most recently for his illustrations in Neil Gaiman's The Sleeper and the Spindle. Chris Riddell was Waterstones Children's Laureate from 2015 to 2017 and has recently been announced as a BookTrust ambassador. He has illustrated the work of many celebrated children's authors, including five Neil Gaiman titles. He is the author of the bestselling Goth Girl and Ottoline series and co-creator of the much loved The Edge Chronicles.